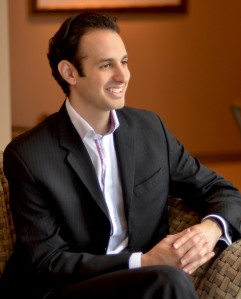 Jay Riskind is the Founder and President of The Riskind Group. Jay was formerly the Managing Director for Global Investment with PiYi Investment Group (DKI Capital). As Managing Director, his mandate was to build platforms for cross border market making activity. Jay was a featured panelist in the Shanghai Investment Forum’s Outbound Investment. He is also Steering Committee Chair of Shangrila Farms Group, a fast growing natural consumer products brand in China and formerly the Chairman and Co-Founder of BTS ASIA, Inc, the first wholesale booking-engine for local travel services in Mainland China & Hong Kong. Jay served as the Special Assistant and Speechwriter to the U.S. Under Secretary of Commerce for Technology, where he coordinated the largest US inter-agency nanotechnology delegation to China hosted by the Chinese Ministry of Science and Technology. In Washington, Jay previously served in the White House Domestic Policy Council and the Immediate Office of the Secretary at the US Department of Interior. In China, Jay has served as an Entrepreneur-in-Residence with the Global Entrepreneurship Center at Zhejiang University in Hangzhou, China. He’s a graduate and has been a featured Guest Speaker for the Harvard Beijing Academy. Jay holds degrees in International Affairs, Economics, & Chinese from The George Washington University.